No, not the one Trump is not building on our southern border. There’s another one. 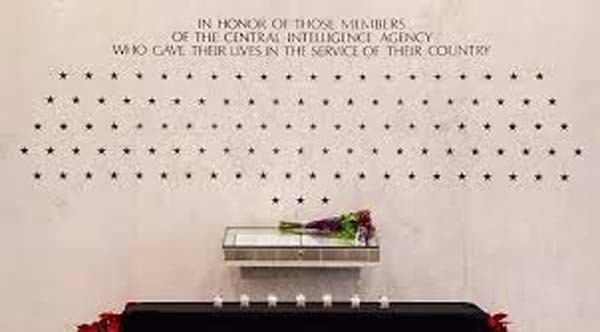 At the headquarters of the Central Intelligence Agency there is a wall of stars dedicated to agents who were killed while doing their dirty work. No names are attached. But there is no wall dedicated to the tens of millions of people who were killed by the CIA. If there were, it would have few names on it because most of the victims of the CIA died anonymously. It would be a very big wall. The wall to the Americans killed in Vietnam lists about 60,000 names but the unbuilt wall to the Indochinese killed because of CIA conduct would be 100 times bigger. Most of the people who were murdered because of the CIA we’re not murdered by CIA agents, although some were. An incomplete list includes between 500,000 and 1 million Indonesians, at least 200,000 Guatemalans, several thousand Chileans, some tens of thousands of Uruguayans, hundreds of thousands of Iraqis, and worst of all somewhere between 5 million and 10 million Congolese. The CIA aspired to even worse, for example attempting to ignite a civil war in Ukraine. Only a few dozen people were killed in that operation but only because the CIA cannot maintain security. Had the agency got what it wanted, millions would have died. It is clear that Gina Haspel was not telling the truth to Congress and it is easy to see why.